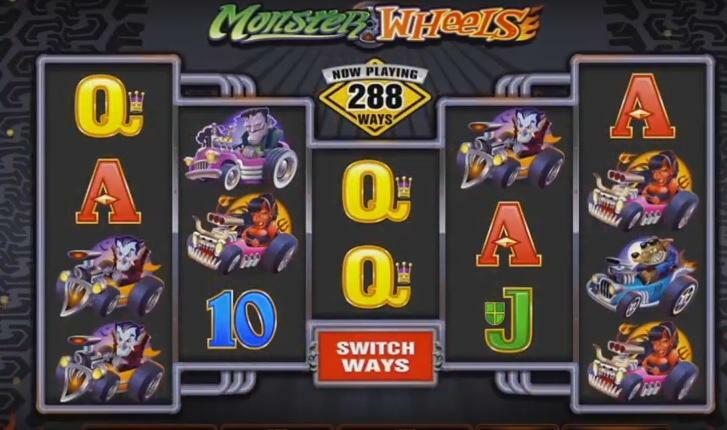 Here's another tremendous new slot game from the Microgaming team, tremendous devilishly themed Hot Rod adventure featuring some amazing new characters and superb gameplay features. Buckle up and play slots online now! Microgaming is one of our favourite developers here at Wizard Slots with their ever-evolving selection of casino and games. Microgaming swiftly proved that they have what it takes to rub shoulders with some of the best slots developers around. They have certainly caught up to NetEnt in the video slot takes bringing games like Jungle Jim El Dorado to the forefront of the industry. Monster Wheels Is a new installation from the team that was founded in 1994 and certainly does offer something new to the Wizard Slots platform. So, play our new list of slot games now! Monster Wheels has a certain feel about it that brings back nostalgic memories of Wacky Races and Hot Wheels racing sets. It’s an online slot game that creates an immersive 4x4 gas guzzling experience. The motors of this 5 reel are donned with flaming decals and ridden by some crazy beasts. Monster Wheels certainly lives up to its name bringing us a feast of high-octane action that sees the Monster Trucks roar through the reels and across the finish line onto free spin glory. Players often visit our guide of various top-notch slots and learn more. You can also try it too! This game is slightly different in many respects to the standard 5 reel video slots that have been emerging recently. There are a whopping 288 ways to win which means you can generate smaller wins a lot more regularly. You can also adjust your paylines and winways by clicking the red button marked ‘switch ways’. 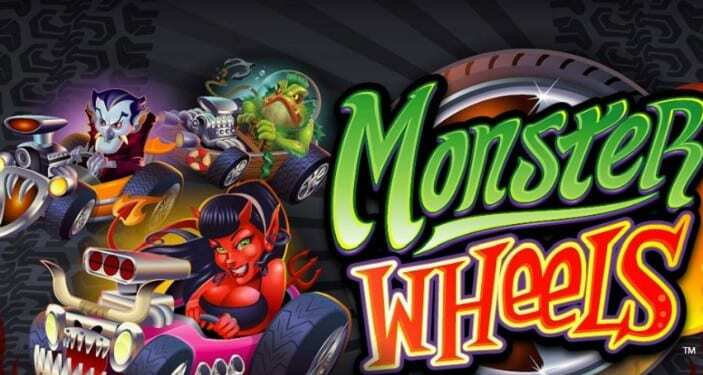 Monster Wheels dips its toes into many areas of the online slots pond and transcends the boundaries of both the horror and moto racing genres. You can trigger a whole range of free spins available to you by locating the Scatter symbols which can be found by stumbling across the multipliers. These are just some of the free spin offers that can take your fancy. Roar up the ramps and take your pick. Will it be 12 free spins or an 8x multiplier? Who knows which game you will pick? This game is very versatile and adaptable to small screens such as mobiles and tablet devices. This is down to the games simplistic game board and graphics. Keep a sharp eye out for the GAS symbol as this will take you onto the bonus round where you will be forced to discover a whole range of challenges that will put you on your way to free spin glory. As per usual with many slot games the game’s WILD is the LOGO and can be substituted for all symbols on the reels bar the SCATTER symbols.